Pet Rescue Saga – Games for Android 2018 – Free download. 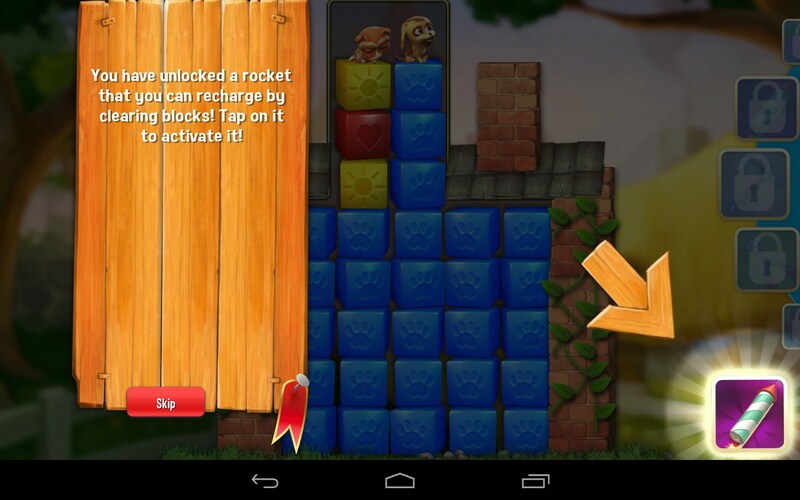 Pet Rescue Saga – Rescue cute pets in this twist on match 3 style games. 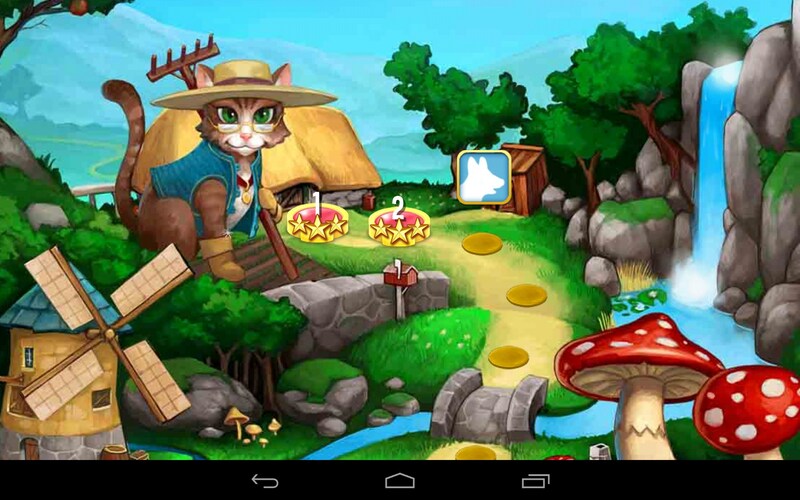 Pet Rescue Saga for Android is a fun twist on match three style games. In this one, you still match blocks, but with the added objective of saving a set number of pets in each round. It’s cute and innovative. 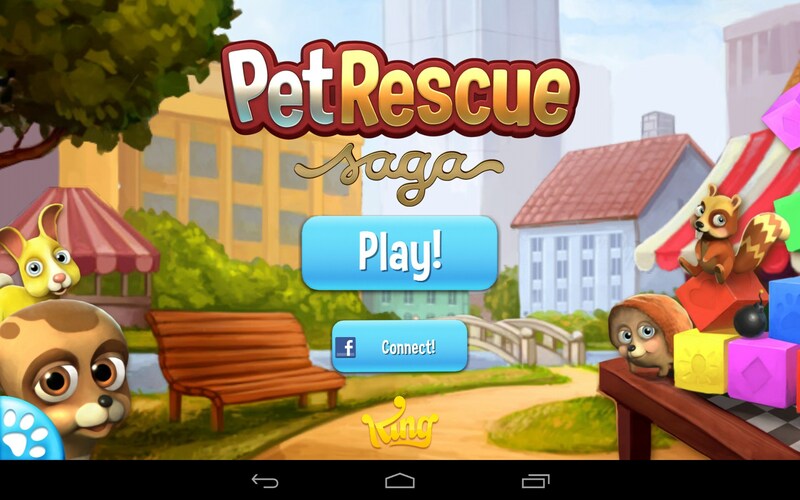 Pet Rescue Saga is a game everyone can enjoy, from kids to adults. Take your standard match three game, and place cute little animals atop the columns. 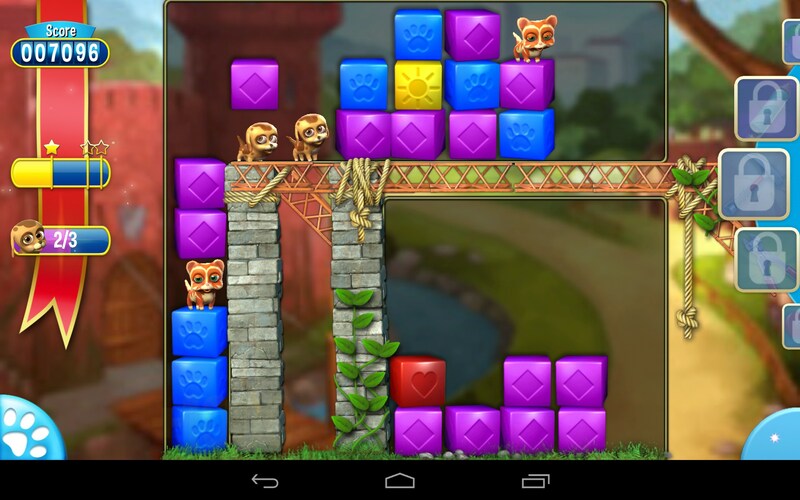 As you make matches, the columns get lower and lower, hence bringing the animals closer to the ground. When the set number of animals are ‘rescued’ you win the round. The graphics are nicely done and the animation is cute. 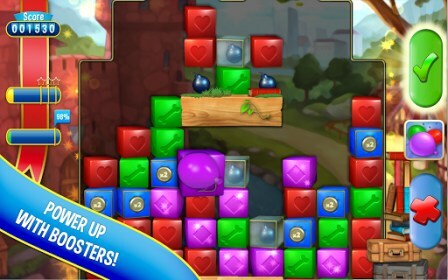 As matches are made, the colored blocks shift and move to make new matching possibilities, however, blocks are not replaced as they are cleared. 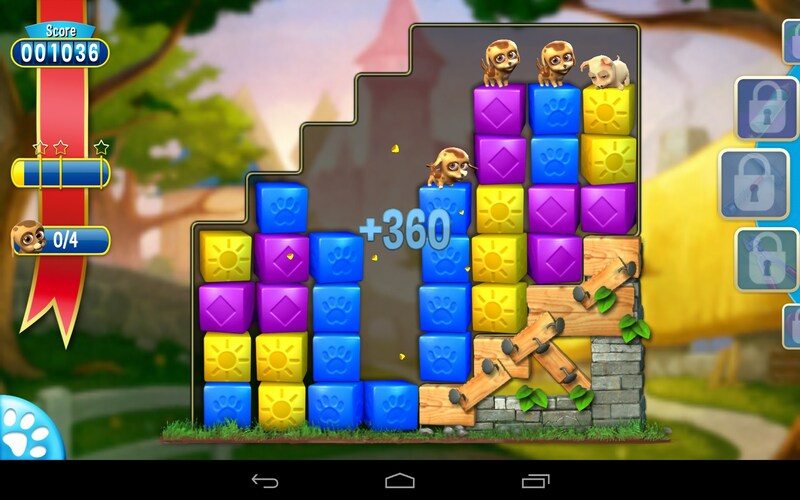 This enables the pets to get lower and lower to the ground as blocks disappear. 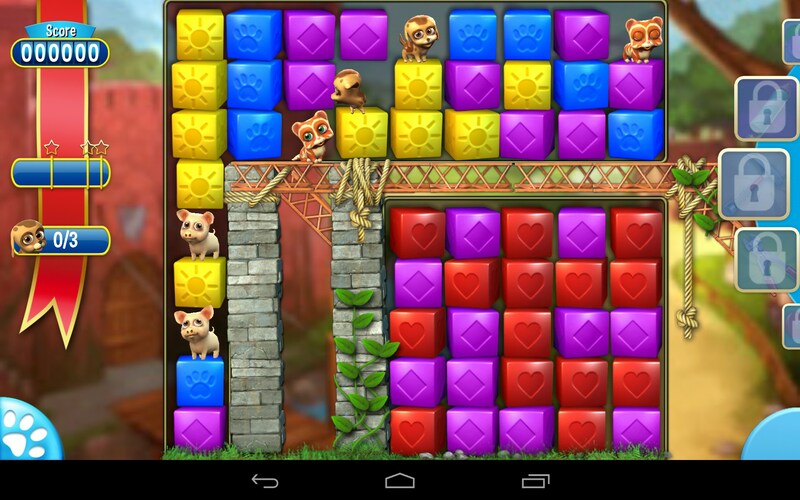 As each level progresses, the game board gets more complex and rescuing all the animals gets trickier. It is entirely possible to run out of moves without rescuing the required number of animals, so strategy and logic are part of the play. I loved the sounds and the menus between levels are also nicely done. Pet Rescue Saga is a lot of fun. I question if it will remain fresh and interesting over the long term, however kids will definitely love this, as will puzzlers. It has just the right blend of familiar yet innovative. my pet rescue game stopped responding on my kindle what must I do to log on again with out loosing my level of progress. 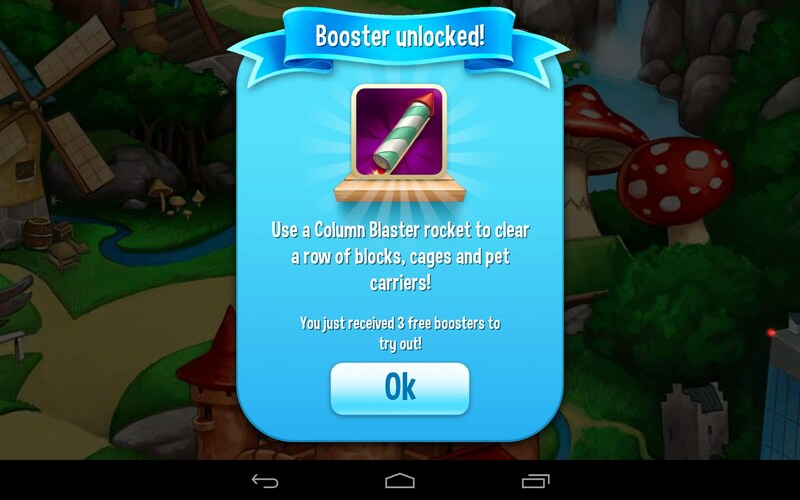 When I play Pet Rescue on the Kindle Fire, there are no free daily boosters but when I play it under the same account on my PC, I do get them. Why? It could just be a difference between the mobile version and the PC version. I have a 1st generation kindle fire, had pet rescue in it and uninstalled it trying to get it to update and now it will not let me download it again. the game is not even in the store on my kindle any help. 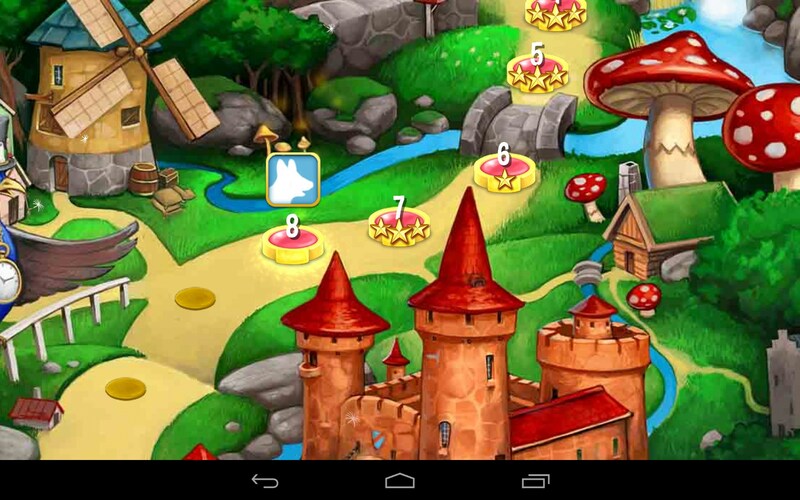 This link is for Android games. What message do you get? Incompatible? I vannnot go to the next episode. I am at level 748 and all it says is new content coming soon. Its been several weeks now and there isnt any new content. I'm afraid this is an issue that can only be resolved by the developers. Unfortunately there is no way we can influence app development and i'm sure it will be available when it is done. Pet rescue saga is fun to play but I can't unlock the next episode for some reason and haven't been able to play for almost two weeks...what's up with that? What exactly is the issue with unlocking the next episode? I know some levels require help from Facebook friends, or some are just extremely hard to unlock. If any of these is the case for you then there is not much we can help with as it is by game design. Please describe the issue as detailed as possible and i will try to assist you. i have PRS on my kindle fire…but cant seem to get the most recent version (v1.15) to work…can someone please help me…i am starting to go through PRS withdrawals…lol. any help would be much appreciated!! thanks in advance! Hey! Thanks for your answer. We do not answer questions via social networks and email and use the website instead. I see what your problem is. Have you tried uninstalling the older version of the application, then use a cleaning software to erase all possible residual files, and rebooting your device? After that you should download the .apk file of the newest version of the app again (and don't forget about deleting cash files, if there are any, and downloading those that come with the latest app update), properly install that .apk file and upload cash. We hope that this will work out. You can also try asking this question around online message boards and forums. We are sure that other users who have the same device might experienced similar problems. Let us know if have any other questions. Hey! Okay, I see and I've got a solution. Try browsing the web for an .apk file of PRS and cash (it's the installation file and other files with graphic textures and so on) of ANY version of PRS that previously worked on your phone. After downloading the .apk file and cash, download a program that's called AirDroid (it's remote device management software that you can download from our website) and upload these files to your device manually. And make sure to uninstall the newest version of PRS before doing that. This way you will have an older, but working version of PRS. Let me know if you experience any further trouble. Hope that was helpful. What exactly doesn't let you download the game? Please provide more details on your problem. In case you have downloaded the app but can't launch it, you'd need to provide us with the exact error message you received upon the app launch. What can I do to play Pet rescue saga? How do we get pet rescue???? What about Kindle? Any plans to let kindle owners access them? I have had a really hard time gettin the games i wanted . They need to be updated to the new versions like on all smart phones. I thought the samsung galaxy ace is still a smart phone and so should have the same versions as all new smart phones. 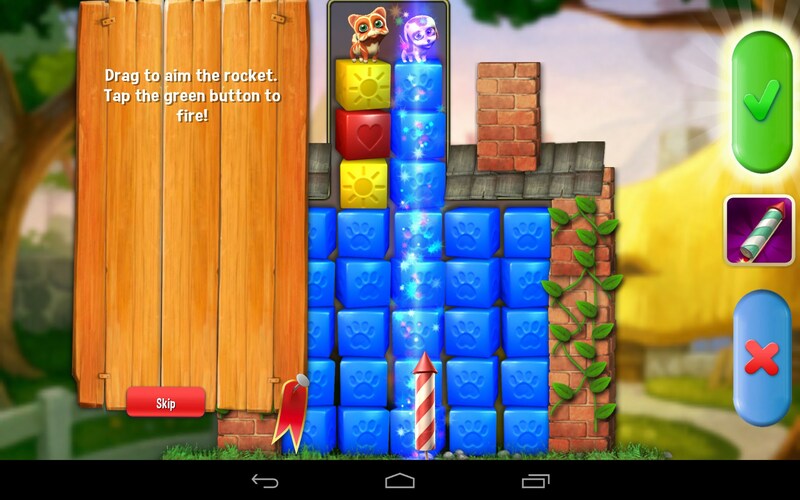 These versions for bubble witch saga and candy crush saga are not very good to rate them.